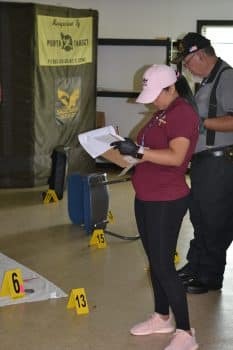 Forensics students from Keiser University’s Lakeland campus recently took a field trip to the Lakeland Police Department’s shooting range where they walked through crime scenes, collected clues and took photos of what they found. 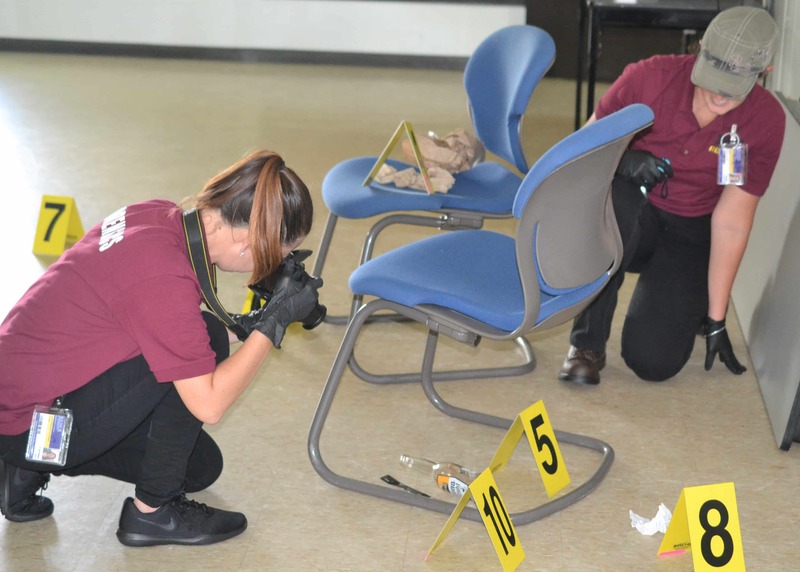 Instructor Elisa Martin says the goal of the Crime Scene Processing Field Trip is to create an experience for the student that mirrors, as closely as possible, a “real world” crime scene processing environment. Martin develops complicated scenes to encourage critical thinking skills, expose students to different types of hazards they may face in the real world and push them to a higher understanding of the importance of attention to details. Students are faced with the implications of losing a court case based on poor performance, which in turn means justice is not served for the victim and a criminal might go free. The students prepare a “go bag” of personal equipment that they will need when they are working in the field. Each crime scene is set up with some type of significant hazard. Professor Martin explains while the hazard itself is not real at the training center, the reaction to what could happen if they are not diligent quickly becomes a reality for students. After observing the scenario, she and the students walk through the missteps together. The field trip is created to be as realistic as possible. 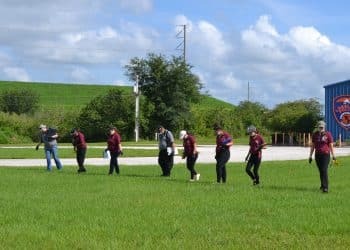 The students are dispatched to a scene and must work together as a team to photograph, diagram, and process for evidence and take notes.The professor then collects their information and later requires the students to write a complete “police” report based on their notes and communications with their teammates. It is a long hard day for the students but has proven to be a successful training tool for Martin’s classes.